The debate of the being better between free and paid VPN has been ON forever. Some highlights advantages of free VPN, however, others don’t advise to get them. In this post, we have discussed some of the valid points of choosing the right VPN (Free or Paid) for you! When you use VPN, it is the simplest way to take your defense up a notch, however if you have opted for free VPN, it comes with certain drawbacks. There are some of the free VPNs that might get into your sensitive data and make your device vulnerable to attackers. Apart from keeping your machine at risk, it can also expose your system to various malicious software without your knowledge such as Riskware, Malware, Adware, Spyware, Trojans, etc. In fact, there are tons of free VPN software and app are available at on the Google Play Store that has found to be malicious. Moreover, these apps somehow managed to trick over millions of users into exposing their devices to malware. After making your decision of not sharing your information with the advertisers, usually, free VPN services are going to heckle your online experience every time by displaying nonstop advertisement pop-ups on screen, which is really frustrating especially when you’re in the middle of an important work. There is the possibility that by using the free VPN providers, you end up getting scripts into your system to reveal you to more pop-ups and ads. In fact, the majority of the free VPN providers mentions in their terms of services. that they will show ads to their clients. When you are looking for a VPN service then there are a few things that should be considered. VPN service should be capable of creating a tunnel to conceal the IP address of your computer. First and foremost, priority is that your VPN should be able to safeguard your identity from cybercriminals. As, it has been noticed that the provider that offers VPN software for various devices like Windows and Mac should be capable of providing extra perks for you such as customer support, unique features. However, these features are mostly found in paid VPNs services. Please keep in mind, it is recommended that when you choose a VPN service then it should guarantee a high-end encryption that allows you to access to hundreds of servers worldwide and connections for multiple devices. One of the biggest benefits of using paid VPN is Security, which is everyone’s priority. However, there are a lot of other benefits you get when you opt for paid VPN. So, let’s have a look at them. 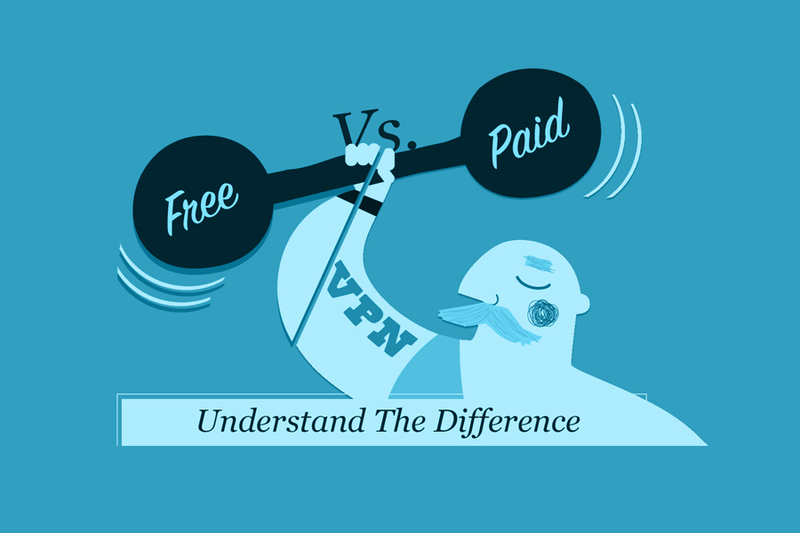 As free VPNs barely provide any effective protection, so you can switch to paid VPN services. You can also try out the free version of the best VPNs to find out which suits you the most. There are paid VPN that provides a money-back guarantee in case you don’t want to continue such as ExpressVPN. Moreover, the moment you choose or update the paid version, you will find out the difference in the terms of security protocols and anonymity. Paid VPNs offer various types of security protocols such as L2TP, OpenVPN, and PPTP, which is required to ensure your security and anonymity while browsing. The most interesting part of using paid VPN services is that it boosts up the performance of your machine and provide faster results at the time of live streaming and when you are playing games online. We hope now you have a better understanding of the free and paid VPNs. It clearly reflects that going with a paid VPNs is always and keep you safe and secure. However, if you’re not concern about customer support, security, and privacy of your data, or do not have issues with getting pop-up advertisements then you can surely go along with free VPNs. But it is always best to keep your sensitive data and online traffic to protect your intruders and attackers. So, according to us, getting a paid VPN is always the best option to keep yourself safe and secure. ← Common Mobile Security Threats and How to Protect Yourself?